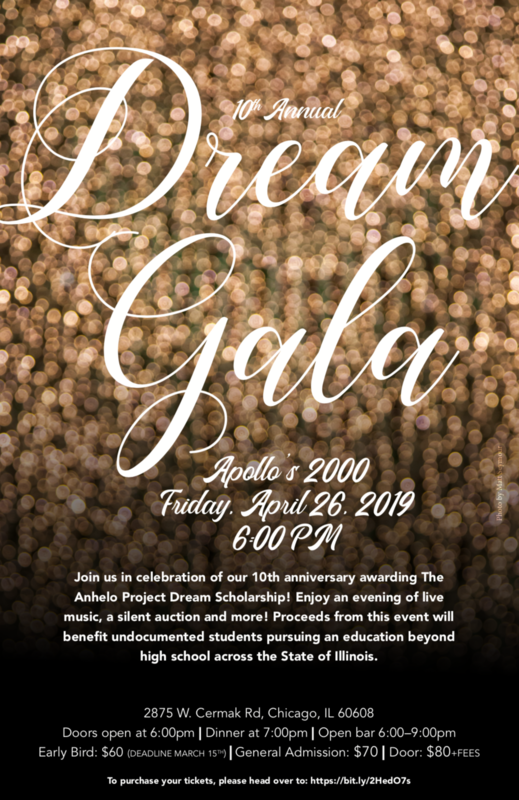 Join us in celebration of our 10th anniversary awarding The Anhelo Project Dream Scholarship! Enjoy an evening of live music, a silent auction and more! Proceeds from this event will benefit undocumented students pursuing an education beyond high school across the State of Illinois. To purchase tickets for this event, head over to our Eventbrite page for ticket details. Thank you for your continuous support - and we hope to see you at our annual Dream Gala!